Not really for me, though I take Y only on the SIN-KUL-SIN sector. So far have no issues getting the front row (bassinet) aisle seat when flying either SQ or MI on that sector. I usually just let the system pick a random seat during booking, but I call up the hotline to request for the change. Been doing this for years, before the implementation of the paid set selection. So it may not be a fair comparison. I will re-qualify for another QPPS-year soon, so PPS is secured until Mid 2019. For 2018 I plan to qualify for LH-Sen. Double dipping allows you to qualify for PPS and SEN in parallel - no special effort needed. Just found out after speaking with Singapore Airlines that what used to be a privilege for PPS members in having the first few rows blocked out in Economy has gone out the window with the introduction of paid seat selection for all Economy passengers when booking their flights. I had a recent booking to MNL,row 31 on the B777-300 (chargeable extra legroom seat) and as I complete the reservation,I wasn’t charged for it. 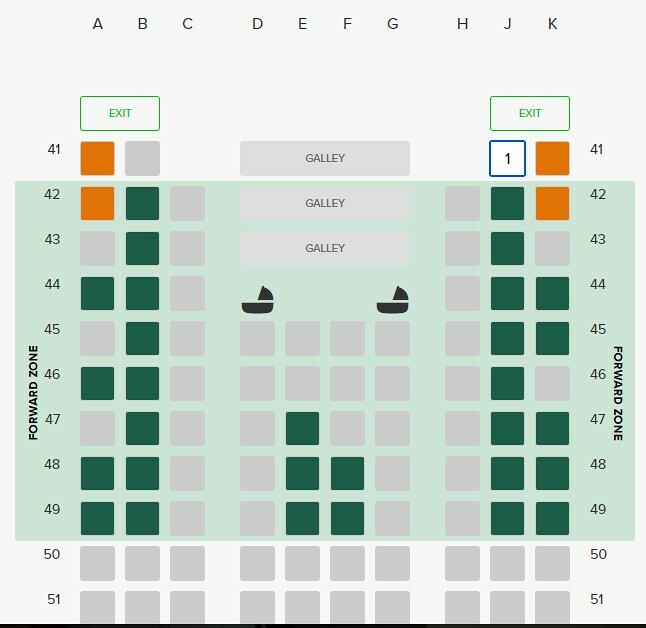 To clarify, I'm not saying the first few rows are unavailable to PPS members but just that it's occupied much earlier these days by paying Economy passengers with no status because the new pricing policy allows all passengers to select any seat so long as you are willing to pay. Well, yes know that.....and half way to achieve SEN is done. On a positive note: Cabin crew seem to have beefed up their efforts significantly during the past 6 month. Quite consistent as well. Not really, while rows 31/32 are not generally shown as available, not sure why sometimes they are blocked, sometime not, I do not experience difficulties in finding good seats in the front rows. Since the emergency rows are complimentary for PPS, I have a quite good success rate to fetch row 48 on the A330. Last edited by jonleong; 1st May 2018 at 04:56 PM.. I reconfirmed with SQ that the aisle seats were not blocked but that passengers had been assigned already. Moderator, why does my photo keep getting edited out? i think your url is wrong. it should be something that ends with .jpg .png etc. When you right click the photo, if you are using chrome, there is this "copy image address". If some other browser, look for something similar. But your URL doesn’t seem to be right. That's the only URL given with the copy image address option from Google Photos. And it seems I can only view this SQTalk image on Chrome and not on other browsers. Even its clear that this is an A380 seatmap, I tried to figure out which configuration that is, as it seems not somehow tallying with the seatmaps on SQs website. Anyway, there are some Emergency row seats available which you should be able to pick as PPS.